Bonkers. Dizzee Rascal had it about right. Silverstone at the summer's start. I wasn't convinced. Festivals, street food, Razorlight and racing. Really? 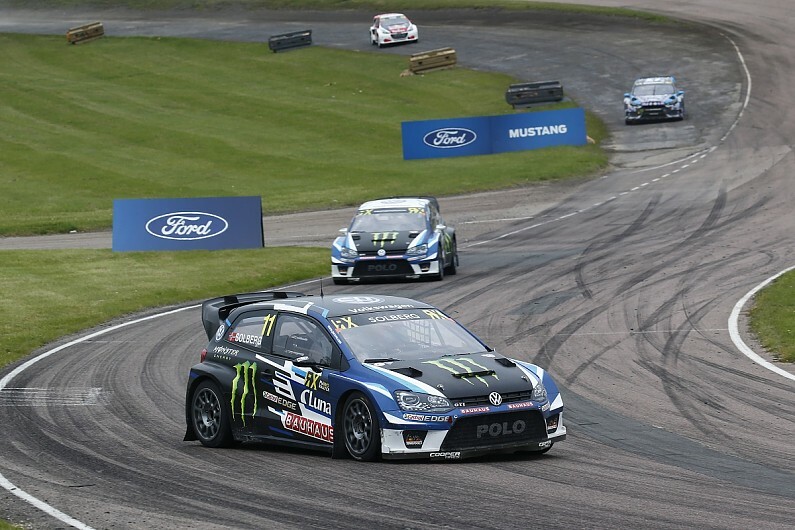 What was wrong with Lydden's World Rallycross round? Then I went and thoroughly enjoyed the weekend's entertainment. So did the thousands alongside me - many of whom had come for the tunes and stayed for the show. Large swathes of middle England departed Northamptonshire Johan Kristoffersson fans. A man they'd never heard of a day before. Being a traditionalist, I'd railed against the move away from Lydden. I was more than willing to put up with a khazi that flushed... sometimes, a two-hour wait to drive out of a field and the fact the action was so far south the air was thick with the waft of garlic and onions was fine. I didn't mind any of that. Because I got the chance to watch drivers turning 600 horses into Paddock Bend in fifth gear, tickling the handbrake to pitch them into a drift. A couple of years ago, I loved to hate rallycross. Why? Because it's not rallying and I was narrow-minded. A couple of weekends at Lydden put me right. Silverstone doesn't have a Paddock Bend or a Devil's Elbow. Nothing like it. But what it did have was total, all-encompassing action and edge-of-the-seat drama. When Kristoffersson tripped over Petter Solberg and then tried to drill through the tyre barrier they'd pulled across the track in front of themselves, the crowds went wild. 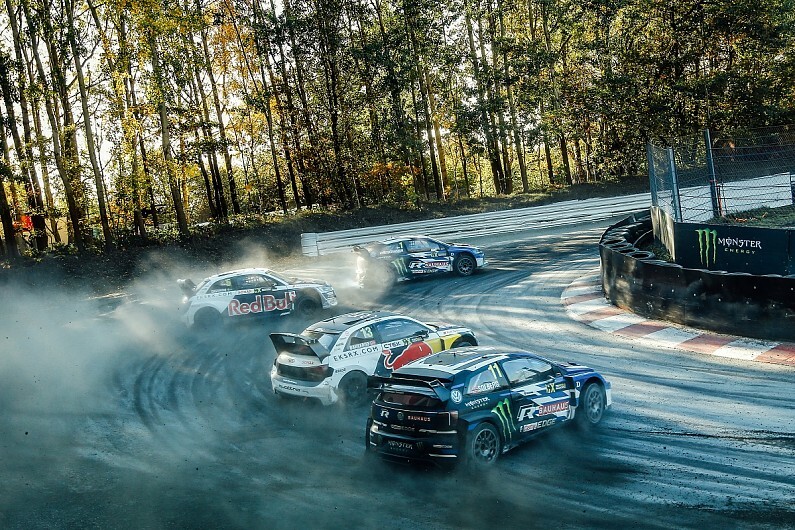 At that point, World Rallycross was still on the up. Just. As one of my Autosport colleagues pointed out at the start of the season, "We've been talking about rallycross coming for so long... surely it's got to arrive this year." The action might be a bit lowest common denominator - verging on demolition derby from time-to-time - but punters love that and four-minute races streamed to iPhones definitely ticked a box for generation zero attention span. Add in solid manufacturer support and some genuine fever behind the wheel - even if it did look a bit like a retirement home for world rally drivers - and you had a series on the up. That was definitely the message at Silverstone. Which made August's hammer-blow all the harder to take. RX's big thing for the future is electric. Here was a formula tailor-made for batteries; a genuine plug-in and play solution for car makers wanting an ultra-competitive, sporting solution that the man on the street can totally relate to. In 2020, we were promised Volkswagen, Peugeot, Audi, Ford, Hyundai (the list goes on) tearing off the line to 60mph in a couple of soundless seconds. Granted, the aural effect would be entirely diminished, but this was something the teams wanted. Something they were ready to get behind. At this point, I have to say, I'd always felt some electrical resistance from WRX promoter, IMG. And I could understand that. Rallycross had been seen as the last bastion of privateer motorsport and there's a lot to be said for that. There were definitely elements of IMG which were sceptical about chucking their lot in with the manufacturers. The deadline demanding four manufacturers sign up to electrify WRX came on August 15. For meeting after meeting, nine or so manufacturers had talked earnestly about the potential and their desire to get behind what was seen as Formula E for the man on the street. On the back of such manufacturer support, the FIA, IMG and the manufacturers agreed a base of four car makers made sense. In the end, Peugeot and Volkswagen showed their hand, they were ready to be in. What about the others? Where had everybody else gone? There had been a power cut. Electric had been put on ice for a year. An August 15 vote for 2020 rule change became a March 29 vote for 2021 implementation. Then Audi left. Then Peugeot left. IMG's Paul Bellamy tells me Audi's departure was because they already had an electric programme with Formula E. So much for eWRX being the new, more relevant electrical solution. Peugeot then lost faith and wasn't prepared to wait. And now we wait to see which way Volkswagen will jump. 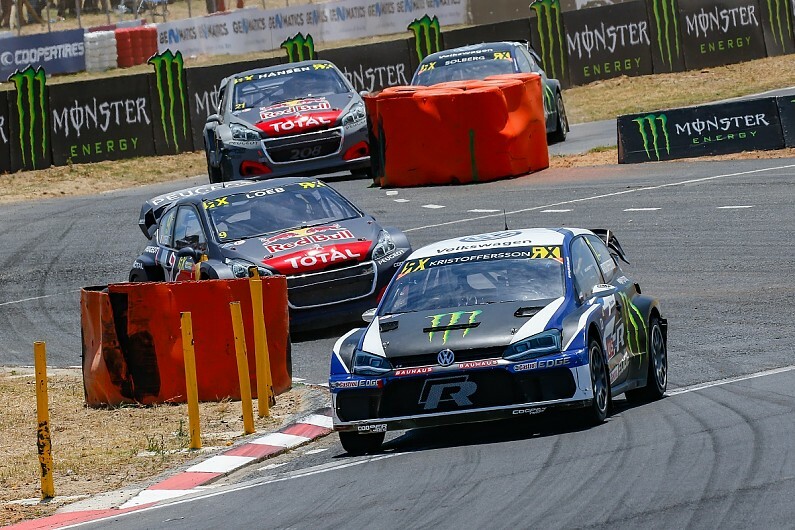 World RX was, in many ways, hoisted by its own petard. Were it not for the need for four signatures, electric could still be coming. Certainly, the technology's primed and ready with ORECA on the chassis and Williams Advanced Engineering bringing the batteries. All the manufacturers needed was a motor for each axle, some wings and stickers. I might have over-simplified there. But not by much. Here's the frustration - if IMG had only forged ahead with electric, there seems little doubt the other manufacturers would have come to the table. We might have been left with a lean season and not many cars. But at least the dream would have retained some charge. Right now, WRX's batteries look a bit flat. A member of the championship's inner circle recently proffered the view that losing the electric vote might not be a bad thing. "It would certainly make for a close, entertaining racing between the privateers." Insanity. Nothing more. Without electricity, rallycross goes back to the dark ages. People in power, step away from the ivory tower and understand that petrol's not popular anymore. I know. I'm as baffled as anybody, but it's the truth. Without electric, I can't really see any future for WRX. Not a sustainable one. Not in any sense. The time has come for a rethink. 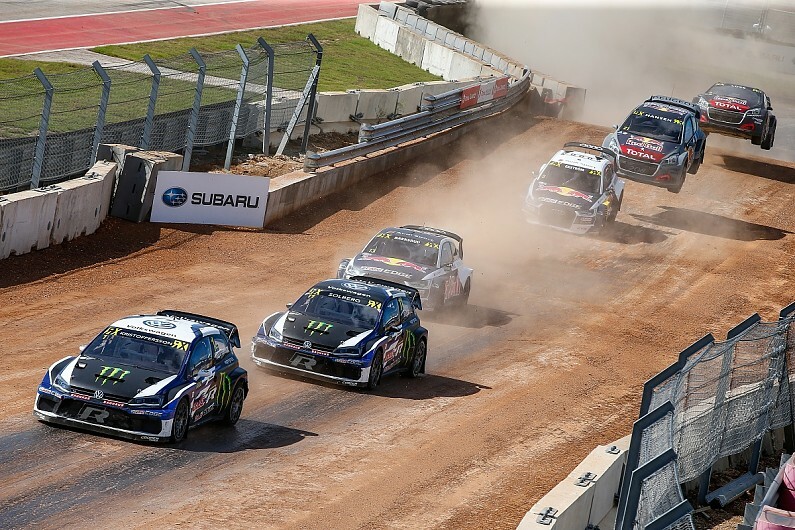 Much as this will pain those IMG-types, World Rallycross must cut its cloth. Or die. And cutting its cloth means a radical overhaul of the costs involved. The manufacturers want 10 rounds; I'd bring that back to eight for the next two years and par everything to the bone. What IMG's preparing is a series fit for manufacturers, complete with all the glitz, glamour and expense. The only thing missing is the manufacturers. And here's the thing, as Marcus Gronholm hasn't tired of saying, private teams like his simply can't afford the manufacturer trimmings. As far as I can see, the only way forward is for WRX to fall back on its strongest asset: the action and the competition. To do that, the series needs cars and to attract cars, it needs to cut costs. The second priority is to make eWRX a certainty for 2021. Scrap March 29. Forget it. Bulldoze the barriers to entry, make new regulations now and roll out the tech that's waiting in the wings. Run eWRX demonstration events on the back of the gas-guzzling Supercar class in 2020 to show how and why rallycross remains, by some considerable distance, the perfect fit for a manufacturer's electric motorsport effort. Do that, and I'm sure they will come. I've seen and heard the enthusiasm within four or five manufacturers; they can barely believe the potential relevance. It's all about the delivery right now. Phase one's fallen down, please, please don't just go down the same path, do the same thing and expect a different result in eight months. We know Einstein's right. Or stick with the current plan and return WRX to what Mattias Ekstrom refers to as those "wearing the rubber boots". No doubt there's a number of fans who would love nothing more than just that: the people's series apparently being given back to the people. Back in the days when I'd just learned to love rallycross, I could possibly have subscribed to that. Not anymore. Rallycross still has the chance to make it to the big-time. Just. Miss it and this gilt-edged opportunity won't come around again. And that, to my mind, would be nothing short of negligence on behalf of those with an interest in taking this most approachable, applicable and understandable of world motorsports to the next level. Electric's not an option, it's the future. Failure to see that returns me to the top of this piece. It's Bonkers.